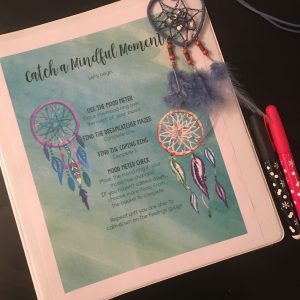 You will need a 3 ring binder with pockets, sheet protectors, dry erase markers, colored pencils, and anxiety reducing coloring sheets and coping prompts. 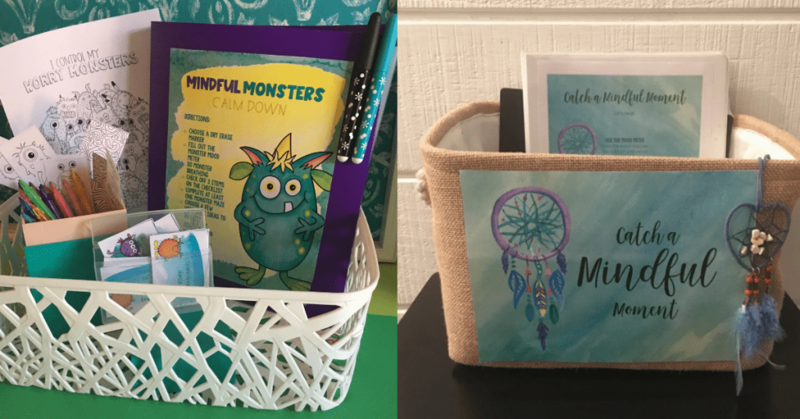 Create a corner in the room that is designated as a “calm down area” for students who need to escape from big emotions. Make it cozy with pillows and a comfortable chair. 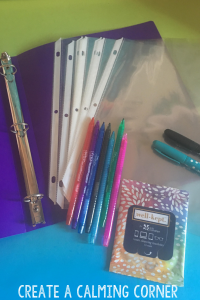 As an alternative, you can create a binder for every student to have at their desk. In the front of the binder or in the front pocket, include clear guidelines for using the resource. Before introducing the binder, model those rules for students. For instance, show students how to quietly walk over to the calm down area without disrupting others. A small sand timer could be used to keep time. Place a sign in sheet in the front pocket of the binder so that you can keep track of who is using the binder. You can use this data to refer students to the counselor for additional intervention. 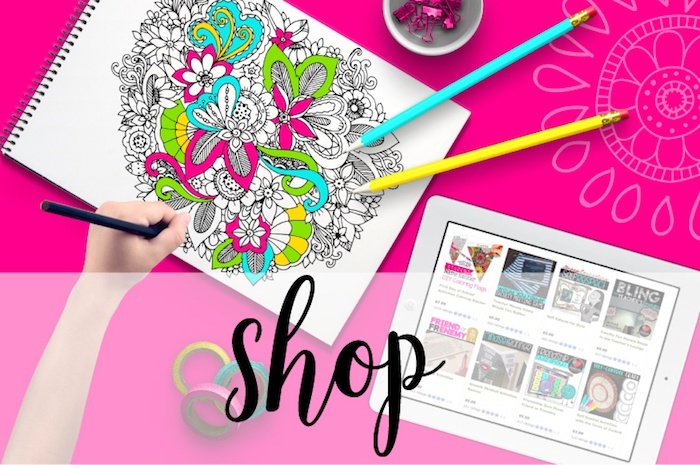 Find coloring sheets that have intricate patterns for concentrated, mindful coloring. Place these in the back pocket of the binder. 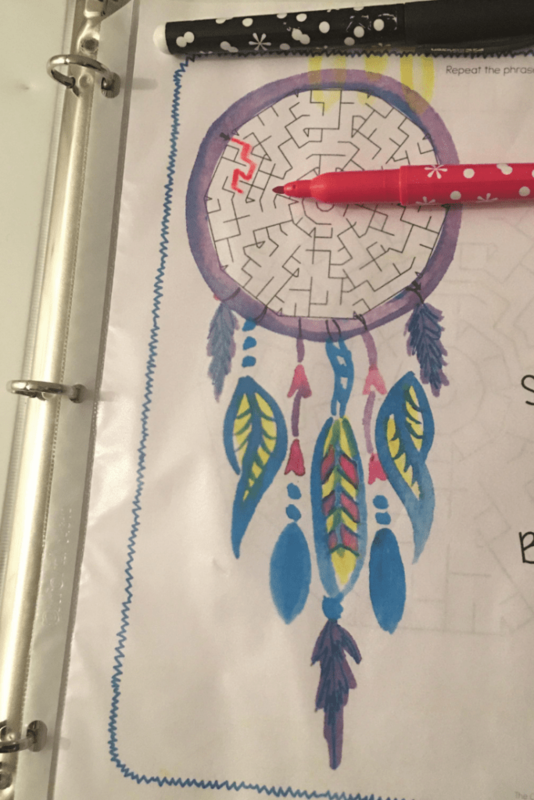 Mindful worksheets such as labyrinths, mazes, puzzles, and brainteasers are important for calming students. You can find many of these free online with a quick google search. 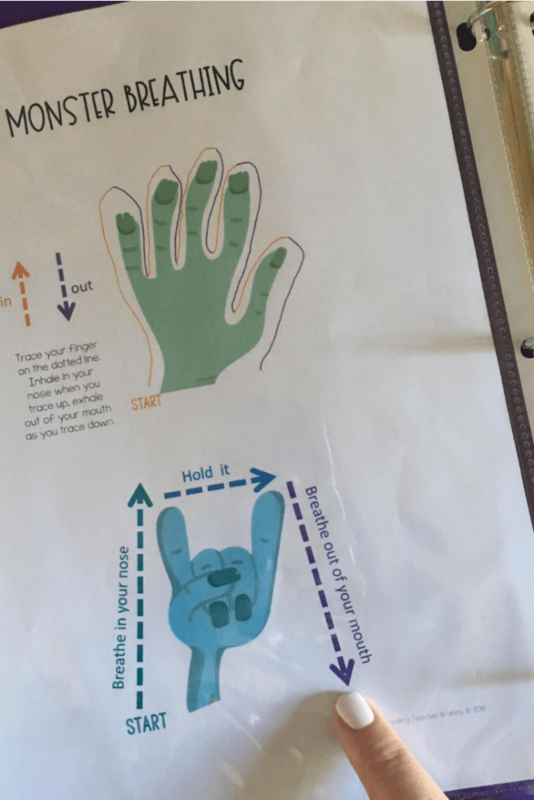 Place these reusable worksheets in sheet protectors and provide dry erase markers and wipes nearby. If you have access to iPads and other devices, you can include headphones for students to listen to spa music and use calming apps. There are several mindful apps for students such as Calm and Headspace. The Calm App is free for educators. I also suggest introducing students to “The Honest Guys” channel on youtube. They has dozens of free mindful videos for calming. 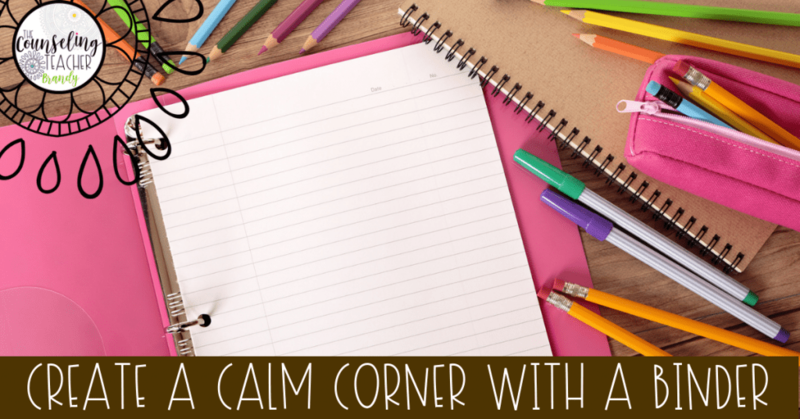 Leave a comment with your tips for a calm down corner.